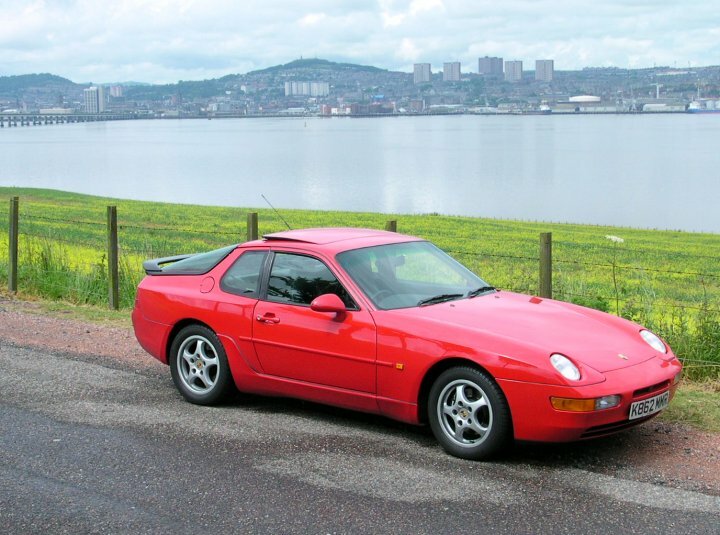 Porsche 968 Coupe - for sale. 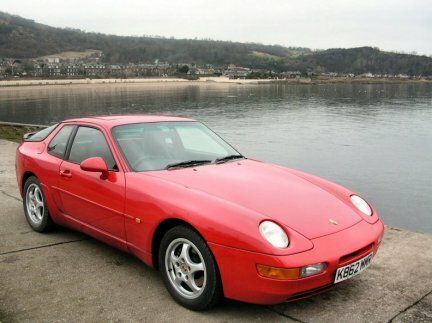 Only about 1,000 968's were sold in the UK, which makes them a rare car, and well on their way to classic status. 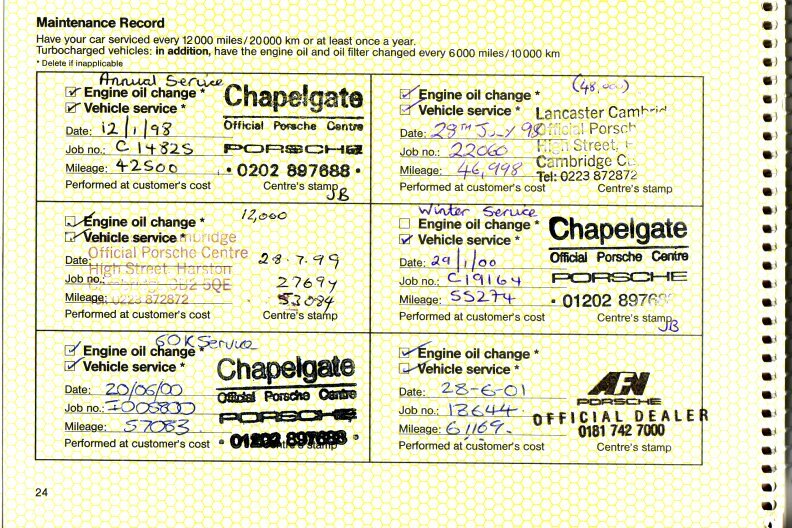 My car was featured in a major article in "911 and Porsche World" magazine in Dec 2003, which I have reproduced here. The only real issue with them is a weakness in the camshafts (mine has been fixed, see below) and as long as this has been seen to, they are all but bomb-proof. 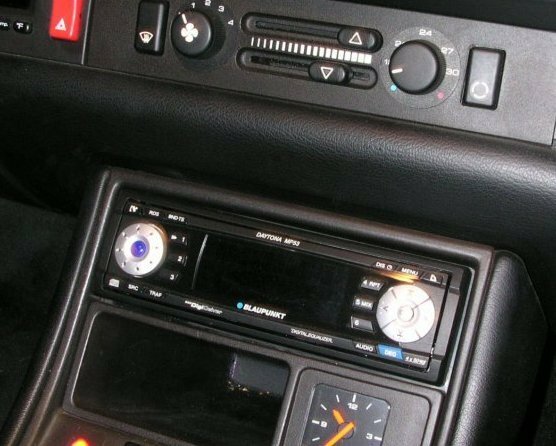 They were built to a very high standard, arguably better than the Porsches of today, and if looked after will last for many years yet. It is probably the most Porsche for your money you can buy today. I bought this car as a retirement present to myself about 2 years ago, and I have loved every mile in it. I looked long and hard to find one as genuine as this, and I have subsequently spent a lot of time and money to bring it up to the best standard. It is totally original and unmolested, and as far as I know has never been on a track. I am only selling it, as I now live on a fairly modest pension and I need to economise. 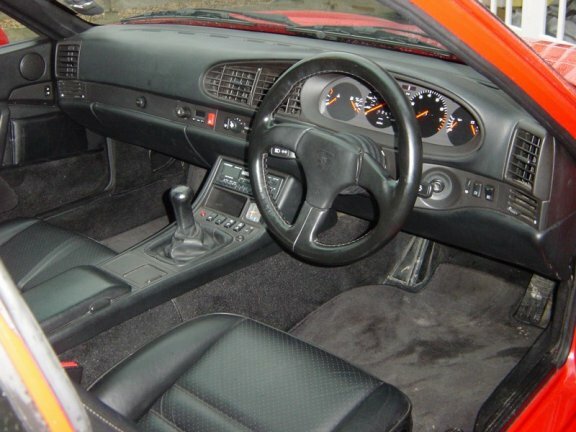 I am asking £12,950 for it, considerably less than this car would cost if you bought it from a dealer. 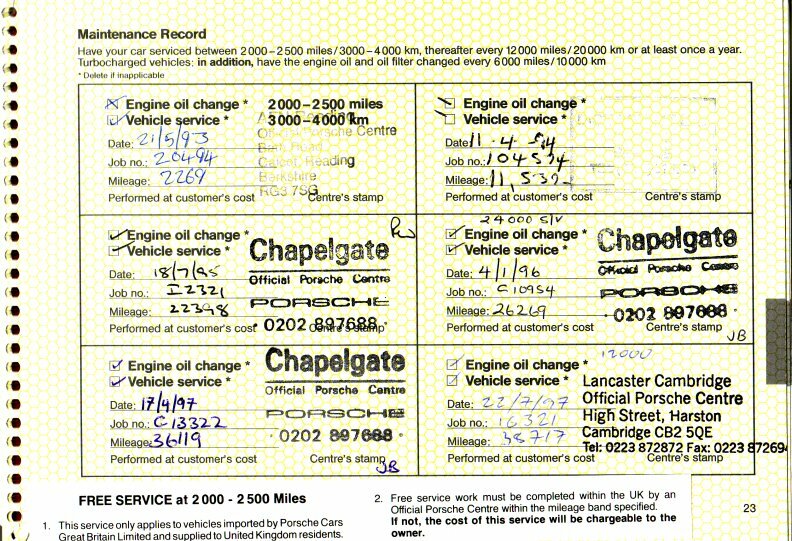 For a car that is 11 years old, there are very few things amiss with it, a testimony to Porsche quality. 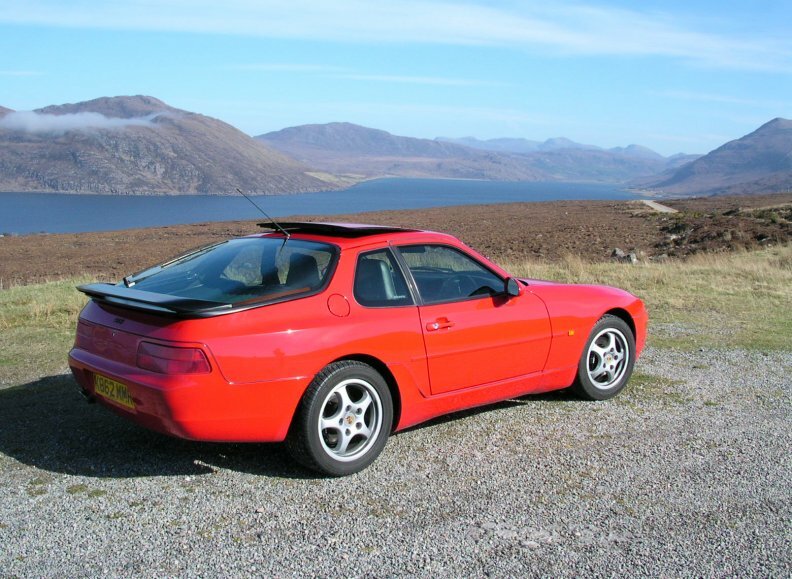 Like all Porsches, it has a few tiny stone chips around the nose, and the rubber gaskets along the sills and rear bumper have shrunk, and need replaced. The number plates are tatty and need replaced. At the next service the brake calipers could do with attention to cure the beginnings of "plate lift", another common Porsche problem. 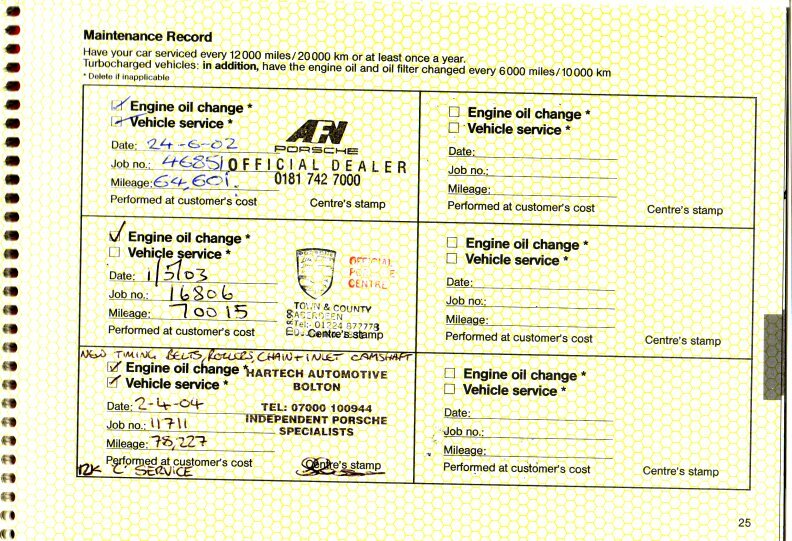 (For an explanation of this problem, look here) To my knowledge, these are the only issues with the car. You can phone me on 01337 830272, or e-mail me on johnh@arthurlea.com and I will be happy to answer any questions. The car is in in Fife in Scotland, although for a serious potential buyer I might be willing to travel, or to offer you hospitality if you travel here.